MTN South Africa became the first Mobile Service provider to launch the Firefox phone in Africa. The device is the Alcatel OneTouch Fire E smartphone that features a 4.5-inch 960×540 display, a dual-core 1.2Ghz processor, 512MBs of RAM and 4GBs of expandable storage. It also features a 5MP main camera and a 1.3 VGA-quality front-facing camera. The Fire E features a 1700mAh battery with consumers having to choose between Dark Chocolate, Mozilla Orange and Slate color devices. The phone comes in a variety of languages targeting the South African market which include English, Afrikaans, Zulu and Xhosa with plans to incorporate other languages. The phone costs $145. During the Mobile World Congress in Barcelona Spain, Mobile Operator Orange announced similar plans with its Orange Klif device targetted at low income customers in Africa, Asia and the Caribbean. 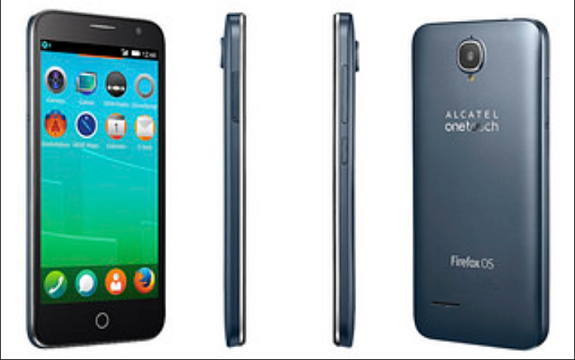 The Klif would also run the Firefox OS and was a joint collaboration with Mozilla and Alcatel. The Klif is a dual SIM slot, 3.5inch device with a 320×480 display and a 3G modem built in. The processor is a lowly 1GHz dual core affair from MediaTek, and it’s matched with a mere 256MB RAM. The phone is set to retail at $40 with 7.1 hours talk time. Orange boasts of a presence in 21 African Countries with South Africa being among the few not covered by its network. Orange is yet to bring their planned smartphone to market. Firefox OS has its own app store, and runs HTML5 natively. It’s based on the same Linux as is Android.